Like any long-time LEGO builder and collector, I have my fair share of bricks which are damaged and well past their best. A few are actually broken - spokes snapped off T.V. aerials, leaves broken off plants, plates snapped in two - but the majority are just discoloured. 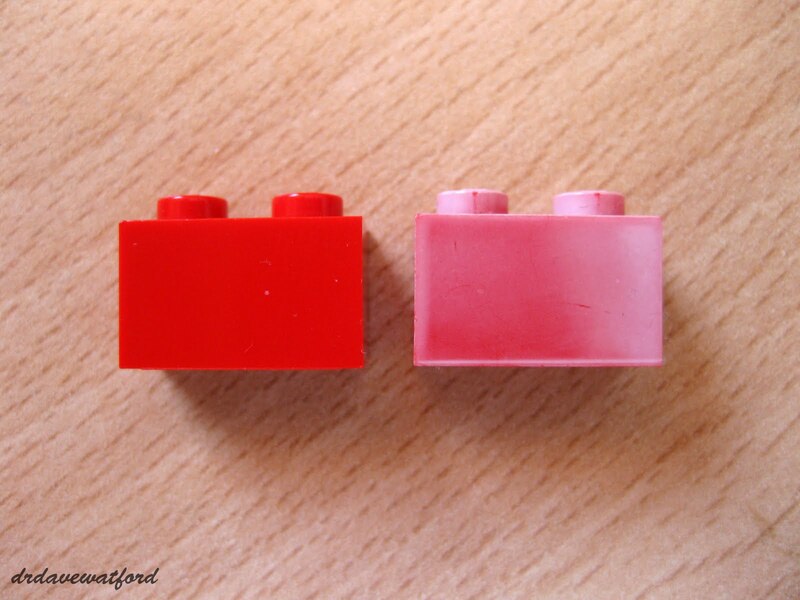 It's well known that LEGO bricks can become discoloured over time, taking on an increasingly yellowish tinge. 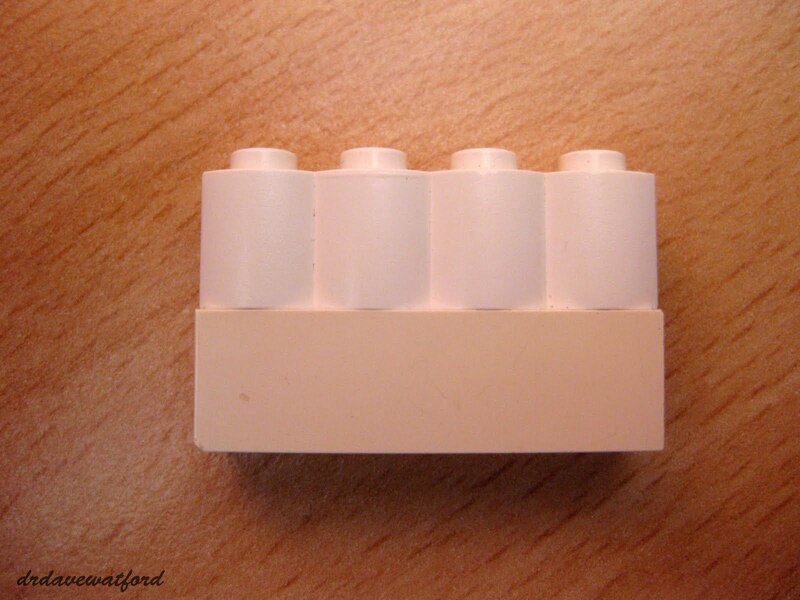 This phenomenon is not specific to LEGO, and appears to be related to bromine-containing flame retardants which are added to some plastics for safety reasons. These flame retardants react with ultraviolet light (natural or artificial) to release reactive bromine molecules which initiate a chemical reaction in the plastic causing the hated discolouration. The process of discolouration is dramatically accelerated by prolonged exposure to sunlight. I can recommend the interesting Retr0Bright website as a resource if you're interested in learning more about this phenomenon. Anyway, for a long time it was assumed that the discolouration process could not be reversed. I was therefore surprised and delighted to stumble upon a number of online accounts of people having some success in returning their plastics, and more specifically their LEGO, to its former glory. While the specifics of the actual restoration process varies from account to account, there seem to be a few common elements. All the reports I've seen basically involve adding a strong oxidising agent (hydrogen peroxide) to a catalyst (tetra acetyl ethylene diamine, or TAED, commonly found in laundry boosters such as 'Oxy' or 'Vanish'), immersing the discoloured LEGO into the resulting mixture, and somewhat ironically bombarding the whole lot with more ultraviolet light, either by sticking it in the sun or putting it under a U.V. lamp. Some of the results do indeed appear to be remarkably good (see for instance the account on The Brothers Brick website), so I figured that I just had to give it a go. My first effort was a total failure. I mixed some 6% hydrogen peroxide bought from the local pharmacy with some Vanish laundry booster powder, poured it into a transparent Pyrex dish, added the sickly LEGO, and stuck it outside in the weak English winter sun. After a few hours nothing had happened, so I left the ghastly concoction for the whole day, and when there was still no change, I just walked away and left it for a whole week. And despite this, still no improvement ! Thoroughly unimpressed, I put the failure down to a combination of (1) the peroxide not being concentrated enough, (2) not enough U.V. from the low winter sun and (3) it being too cold outside. And I gave up. I returned a few hours later to inspect the damage. Thankfully the chemical reaction I had managed to induce had ceased, and all that was left was a (fully intact, I might add) Pyrex dish containing cloudy liquid and some LEGO. I gave the LEGO a good rinse and sat down to inspect the fruits of my labour. Not in my wildest dreams did I expect the result I got..... The treated brick is now toast - pink and badly faded. Interestingly, the underside of the brick looks normal. It's as if only the parts of the brick that were initially sun-damaged have reacted, and sheltered aspects of the brick have been seemingly unaffected by the bleaching process. Again, the sides of the brick have been badly faded by the process, but again, the underside of the brick is unaffected. For the record, my experiments also badly faded some medium blue pieces. 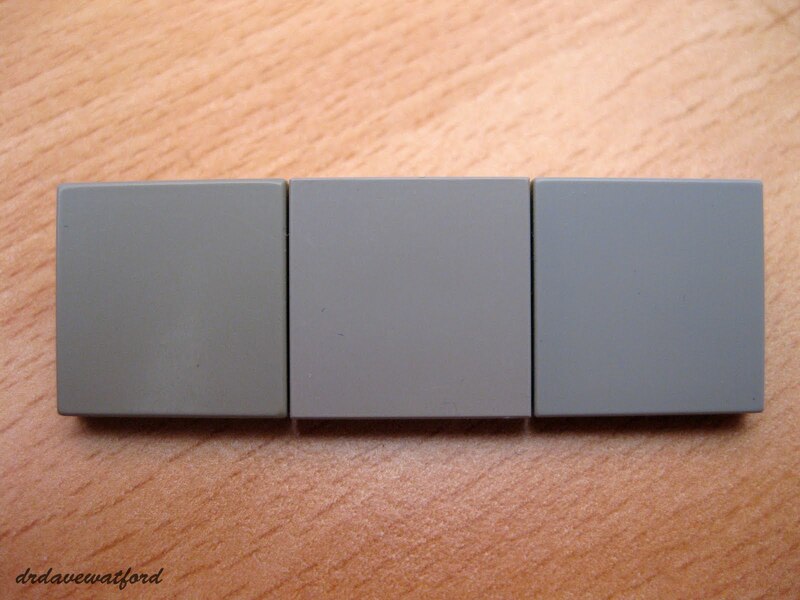 On the left is good old-fashioned 'old grey', on the right is the newer blue-grey ('bley'/medium stone), and in the middle is....discoloured old grey treated by my toxic mixture ! Success at last ! At least the whites seem to have improved, which is not altogether surprising seeing as the process has partially whitened all the other colours to a lesser or greater extent..... Interestingly, I treated a large, old window with a badly discoloured white surround. The surround was significantly whitened, and the clear window pane survived unscathed. Err, forgive me if I'm wrong, but does it say anywhere that you can use the technique for coloured bricks?! I have always know this tecnique works on white and with better results than you have obtained (Tim Goddard I believe has done it a fair bit). 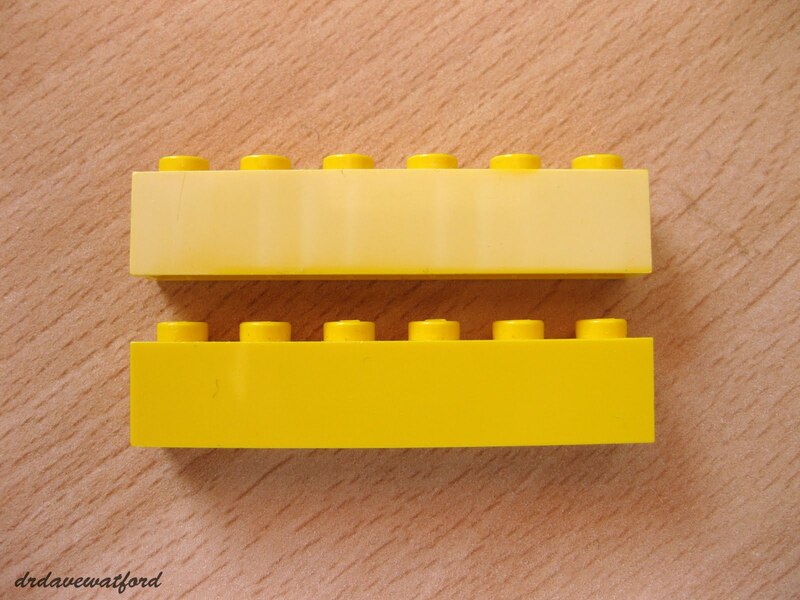 But it would never and will never work on coloured bricks - bleaching coloured bricks... I am disappointed in you Doc. Apparently works fine with coloured bricks, Ed - check out The Brothers Brick link in the third paragraph above, for example. They got good results with white, old grey and blue. You are probably very lucky that it wasn't high-test peroxide(rocket propellant grade) or you would actually have had an explosion on your hands! It's a pity that it didn't really work, though. Discolored bricks are a great bother. An old posting but glad to have found it. Our white bricks have a shade of skin pink. I'll try the method, but won't immerse the ones with slickers, obviously! OK - good luck, be careful, and please let us know how you get on!